Death doesn’t always bring peace, and it isn’t necessarily the end of everything. The character development in this book is outstanding. Ella is a deeply flawed narrator whose rigid worldview was as realistic for someone with her background as it was frustrating as times. She comes so close to understanding her past only to veer away from the truth once again. Her personality is so well-rounded, though, that I remained completely fascinated by her journey even though I don’t necessarily like her as an individual. This is a very minor criticism of an otherwise excellent tale, but it would have been helpful to have a few more clues about what is happening as her encounters with her deceased son grow increasingly violent. Some of Ella’s experiences are pretty frightening, yet the other people around her don’t necessarily react to what’s happening the same way she does. Speaking of violence, there is quite a bit of it in this story. The horror elements in it can be visceral at times. While they work well with the premise and strengths an already incredible plot, this is something I prefer to know ahead of time when poking around in this genre. The mystery of what Dane wants and how exactly he was able to return from the dead haunted me from the first paragraph to the last one. I can normally figure these things out in advance, but Mr. Lorn’s clues were so skillfully placed that I was pleasantly surprised by how he fit everything together. This was my first introduction to his work, and I’m eager to read more from this talented author. 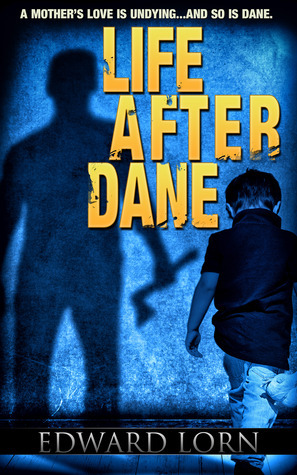 Life After Dane is as much a chilling mystery as it is dark science fiction. This is a fantastic choice for anyone who prefers the unpredictable side of either genre.